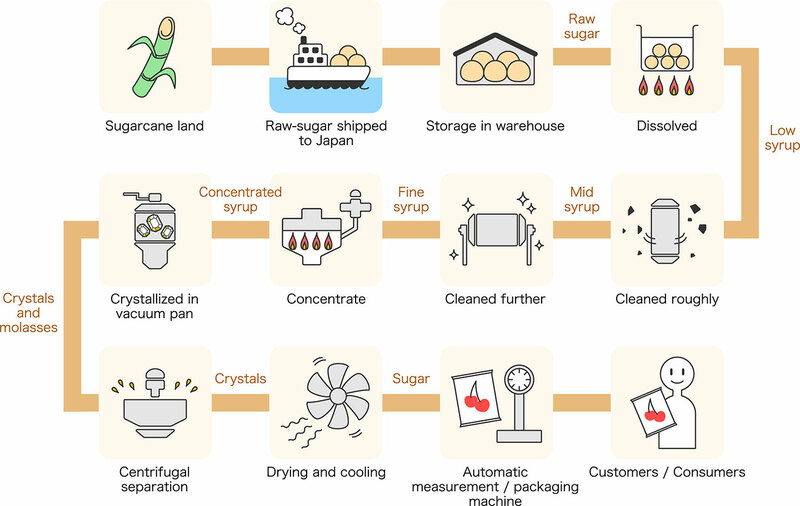 The history of sugar dates back to a BC era of India so far as it is traceable in the literature. The sugar production technology of India in the 2nd to 3rd century BC was spread via Mesopotamia to the Mediterranean islands and coasts, then to Europe. It was also spread to Japan through China in the era of Nara. Sugar has long been used as sweetener and as a safe and reliable energy source for the purpose of recovery from fatigue after heavy physical exercise. ©Fuji Nihon Seito Corporation. All rights reserved.